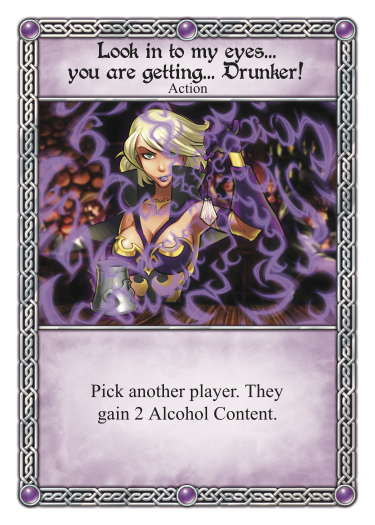 This card now adds 2 Alcohol Content instead of 1. Now hits for 3 instead of 2. So, why did we make these changes? Well, there are two main reasons we decided to do this: a new RDI testing methodology, and Phrenk. 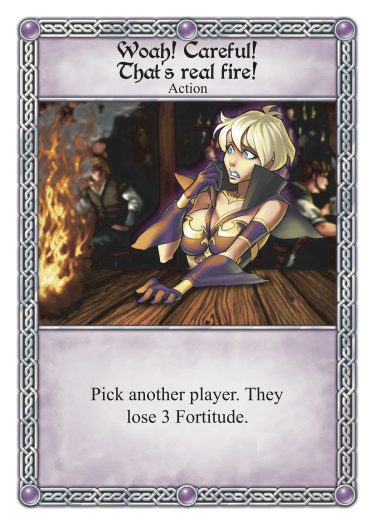 During the development of RDI3, we became huge fans of testing the character decks through one-on-one play. This has two big advantages. First, the games are fast. We Slugs can blaze through a heads-up RDI game in about 10 minutes. This means more games, which means a lower likelihood that a problem will go unnoticed. The second advantage is that two-player games nicely control for the vagaries of multiplayer political play. As much as we like the political aspect of RDI, it severely hinders the character deck testing process. Honestly, it is nearly impossible to get character balance right when trying to determine which wins and losses are due to character strength and which are due to political effects. So, there we were doing two-player testing of the RDI3 characters, and I expressed some concerns about Phrenk’s power level. To make my case, I told SlugFest President Cliff Bohm that I thought Phrenk was basically Eve but way stronger. So we decided to play 5 or 6 games, Phrenk vs. Eve. Eve didn’t stand a chance. Phrenk won all the games easily. Cliff replied that he wasn’t sure that Phrenk was the problem. So he put away Phrenk and took out Deirdre. Again, we played 5 or 6 games, this time Deirdre vs. Eve. The match was almost as lopsided as the first match had been. 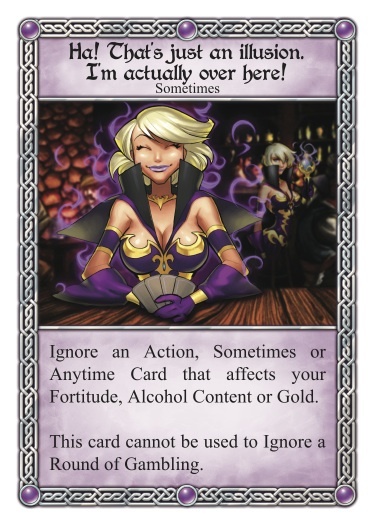 Eve won exactly one game against Deirdre, and it was because Deirdre got a 9-ish-point drink that she couldn’t deal with. At this point, we decided that yes, in fact, the problem was Eve. A few tweaks later, we now think she’s competitive with the Big Boys (and Girls). So…give the New Eve a try and tell us what you think! Any chance we will be able to buy a new Eve deck? The 2011 print run of RDI has the up-to-date Eve available. Unfortunately we will not be able to make individual cards or decks available for exchange or purchase. I hope that helps! That’s pretty cool. I love hearing the design process of my favorite games. Thanks for your attention to detail. Thank you for the praise! We want this, and the rest of our games, to be as good as can be for all the people who’ve supported us over the years!